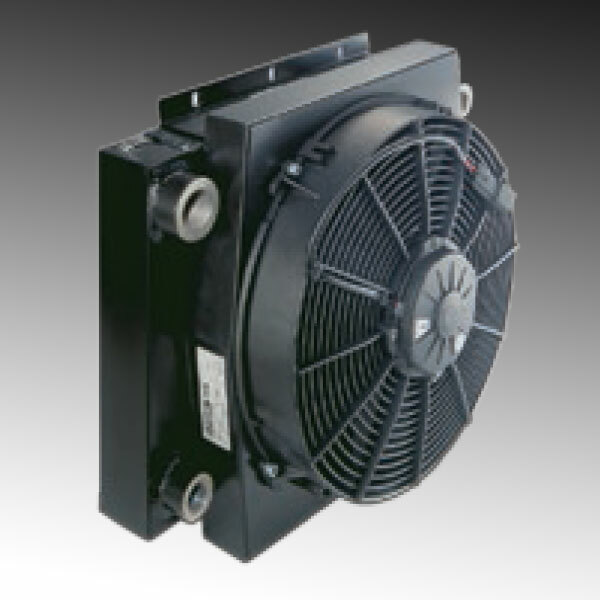 The OK-ELD air cooler series is designed specifically for mobile hydraulic applications where high performance and efficiency are required and physical size must be minimised to allow easy installation. These coolers use a combination of high-performance cooling elements and high capacity and long life DC electric powered fans. Therefore, it gives a long trouble-free operation in arduous mobile hydraulic applications. What’s more, the compact design allows the coolers to fit most equipment. It also provides the highest cooling performance in heat dissipation whilst minimizing space required.